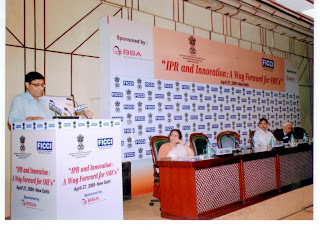 On April 27th, I made a presentation at FICCI seminar on IPR and INNOVATION - A Way forward for SME. Presentation focussed on my experience about making progress using innovative ideas and how IPR can help protect innovations and result in sustained profits. Just for records I have files three patents and applied for trade mark "Joy-n-Freedom"